Investigations are bringing the view that cancer is a direct consequence of mitochondrial dysfunction, disturbed microtubule polar oscillations and the generated coherent electromagnetic fields , in general it can be said that the cancer transformation pathway includes a link with altered coherent electric vibrations, and is believed that the individual independent activity begin when frequency spectrum is rebuilt and shifted along with disturbances in the spacial pattern of the field . Cancer cells can be classified depending on how they intake energy, what processes are behind that energy generation, that are altered respect to normal cells (and altered energy transformation processes in cancer cells is a central phenomenon not a side corollary ). Two main branches can be classify here; those that obtain even more than 50 % of their ATP by metabolizing glucose directly to lactic acid even in the presence of oxygen (Warbur effect cancers, differentiated cancers) and those how are fueled by the supply of energy-rich metabolites such as lactate, pyruvate, glutamine and ketone BHB (beta-hydroxybutyrate) from the associated fibroblasts (reverse Warbur effect cancers, undifferentiated cancers). As is described in  in both cases the distorsioned energy supply alter the cell’s endogenous electromagnetic field what is believed to be what really transform a normal cell into cancerous cell.
" In a Warburg effect cancer cell, the ordered water layer is reorganized and the water layer releases electrons, efficiently damping electromagnetic activity. The electromagnetic organization forces are weak, and coherence is disturbed. In the reverse Warburg effect cancers, the mitochondrial dysfunction and damped electromagnetic field occur in associated fibroblasts transporting energy-rich metabolites to the cancer cell whose electromagnetic field exhibits high energy with fluctuating power level and low coherence." " Both gene structure and protein structure, according to our thesis, are slaved to the biophysical status of interfacial water; hence, biomacromolecular structures react to supramolecular events. The proposed function of nanomolecular clusters of coherent water in water CDs is discussed. The hypothesis is presented that cationic Al, for example, effectively “short-circuits” the coherent nano-engines of our biomembranes, dramatically disrupting the delicately-balanced structural entropy consumption, necessary for charge separation, and transmission of both energy and information throughout the body. Concomitant increase in interfacial water stress and softening of tissues, with associated disruption of the cytoskeleton, has now been documented by multiple spectroscopic modalities." " The ribonucleic acid (RNA) of the LDH virus parasitizing on energy reduces the ratio of coherent/random oscillations. Decreased effect of coherent cellular electromagnetic field on bonding electrons in biological macromolecules leads to elevating probability of random genome reactions." On the other side, cancer cell’s external electromagnetic fields are enhanced to respect normal fields in a wide frequency spectrum, we have the fields generated by centrioles that in cancer cells are supernumerary and are clustered together causing the enhanced electromagnetic fields associated with cancerous tissue  that in turn could attract blood vessels which then expand and also become malignant .
" Only 1% of malignant cells in a normal aggregate, representative of the early stages of cancer development, resulted in conspicuously increased numbers of photon emissions and spectral power spectra that often reflect a total malignant cell population. 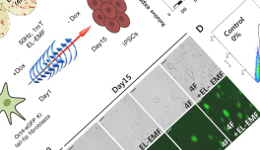 This combination of photon flux density and spectral power profiles may be a potentially useful (nanotechnology) tool to detect the minute changes in cell activities relevant to oncology." " Using wavelength-exclusion filters, we demonstrate that ratios between infrared and ultraviolet photon emissions differentiate cancer and non-cancer cell types. Further, we identified photon sources associated with three filters (420-nm, 620-nm., and 950-nm) which classified cancer and non-cancer cell types. The temporal increases in biophoton emission within these wavelength bandwidths is shown to be coupled with intrisitic biomolecular events using Cosic's resonant recognition model." And this is important because it is possible that cancerous cells can recruit other cells through biophotonic information also; as is pointed out in  one thing is the amount of energy necessary to maintain the molecular machinery, that uses glucose metabolism-based chemical processes, and other thing the possible non-local determinants of the information that initiates or terminates these processes, that can be in form of biophotons (in the paper compare them with the small effort of turning the key in the ignition on a combustion motor car). So as in other sections of this web we are speaking about various layers of electromagnetic fields whose distortion, in this case, can cause cancer initiation and propagation. 1. Pokorný, Jiří, Jan Pokorný, and Jitka Kobilková. "Postulates on electromagnetic activity in biological systems and cancer." Integrative Biology 5.12 (2013): 1439-1446. 2. Pokorný, Jiří, et al. "Cancer—Pathological breakdown of coherent energy states." Biophysical Reviews and Letters 9.01 (2014): 115-133. 3. Pokorný, Jiří, Jan Pokorný, and Fedir Borodavka. "Warburg effect—damping of electromagnetic oscillations." Electromagnetic biology and medicine 36.3 (2017): 270-278. 5. Davidson, Robert M., Ann Lauritzen, and Stephanie Seneff. "Biological water dynamics and entropy: a biophysical origin of cancer and other diseases." Entropy 15.9 (2013): 3822-3876. 6. Pokorný, Jiří, et al. "Energy parasites trigger oncogene mutation." International journal of radiation biology 92.10 (2016): 577-582. 7. Huston, Ronald L. "A Review of Electromagnetic Activity in Cellular Mechanics." Advances in Bioscience and Biotechnology 7.09 (2016): 360. 8. Karbowski, L. M., et al. "Only 1% Melanoma Proportion in Non-Malignant Cells Exacerbates Photon Emissions: Implications for Tumor Growth and Metastases." Int J Cancer Res Mol Mech 1.2 (2015). 10. Murugan, Nirosha J., et al. "Biophotonic markers of malignancy: Discriminating cancers using wavelength-specific biophotons." Biochemistry and biophysics reports 13 (2018): 7-11. 11. Dotta, B. T., C. A. Buckner, and R. M. Lafrenie. "Photon Emissions as Differential Indicators for Different Components of Protein Kinase A (PKA) in Transfected Murine Melanoma Cells." Arch Can Res 4 (2016): 3. • Electromagnetism & DNA: Oscillations of nucleosomes, chromosomes, and environmental electromagnetic interaction. F Cancer - pathological breakdown of coherent energy states 2014-(19) Jiří Pokorný, Jan Pokorný, Jitka Kobilková, Anna Jandová, Jan Vrba, Jan Vrba Jr.